Directions: The map directions will lead your right to the pier parking lot. Parking was free when I took this photo but if things have changed, then there are a number of free beach access lots nearby. The Nags Head Fishing Pier is one of the few remaining wooden piers on the Outer Banks coast. Each year these piers are damaged by seasonal storms and replaced with concrete versions, so get your shots while it’s still there. 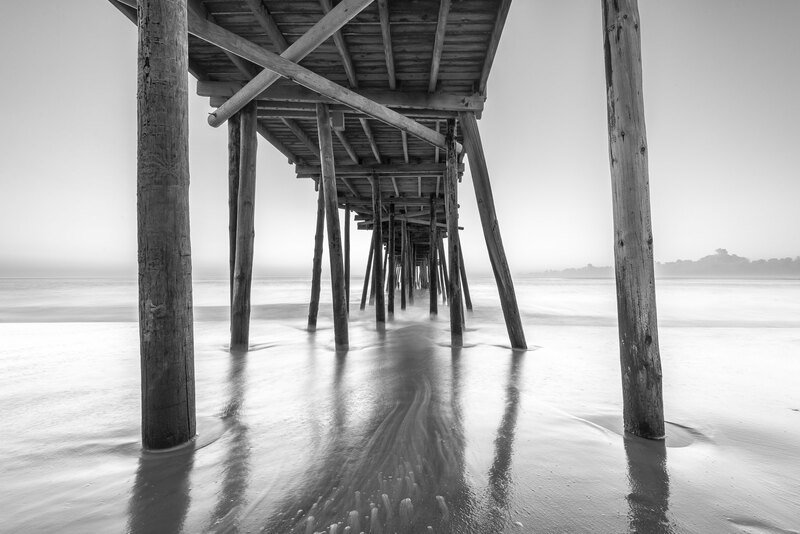 While I’m starting to find “under-the-pier” shots a bit repetitious, the level of decay to this one lends a good bit of personality and the beach is somewhat level around the pier, giving you a good bit of wash for those 1-2 second “action” exposures. Definitely a sunrise location, but sunset with some good clouds could work as well. Long exposure, short exposure, there are lots of options. Bring the polarizer and your ND filters. GNDs might not help as they’ll darken the pier with the sky so you’re best bet is to blend multiple exposures if you can’t get it all in one shot.